Persephone in Hell by C.F. Joyce, Westport River Publishing August 2014. Find her on amazon. com.Only $2.99 for one of the best e-reads of your life. 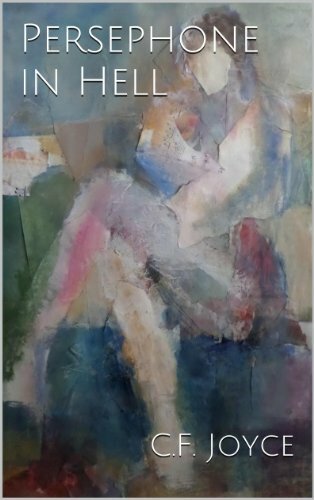 Or buy it in print paperback for only $14.95 @ PERSEPHONE IN HELL. Troubled teenage Glory imagines herself a mighty queen, but discovers in her 1968 Massachusetts town that even queens have to watch their heads as savages await. Glory and her family move from Boston city life to rural cow country where people have heard of Jews but never seen a real one. A coming of age tale of a girl who doesn’t understand why her sister won’t talk to her and even Mother Nature seems out to get her. She cries out to the gods for help. But nobody sees her terrible self inflicted wounds. No one is paying attention. In this coming of age debut novel, C.F. Joyce explores the roles that family histories, clashing cultures, and dysfunctions play in the life of a young girl.